At first sight, it might seem there are no guidelines for writing a good cover letter — the ultimate key to the heart of the recruiter. Don’t underestimate its power and unleash its full potential by learning from people who know what they’re doin. We’ve collected 10 exceptionally well-written cover letters from 10 job candidates who got hired by top-notch companies like IBM or IKEA. 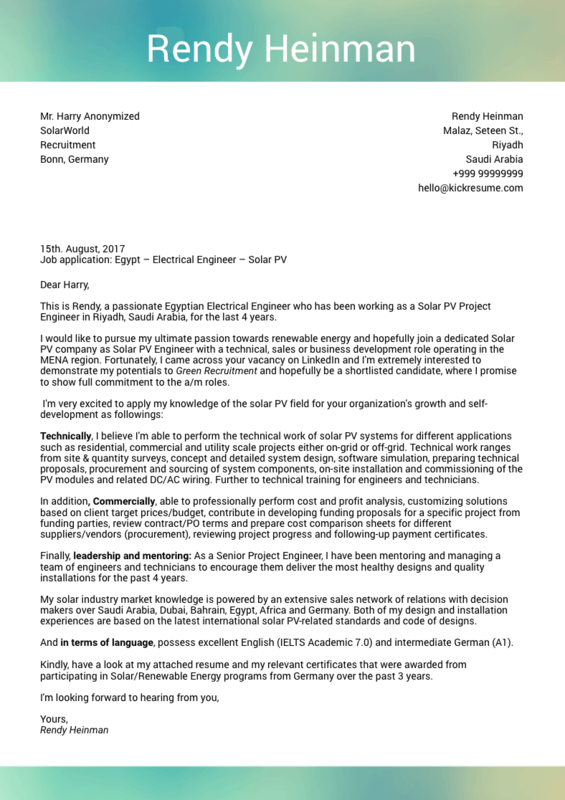 Let us briefly highlight the key features of these cover letters that paved their way to success. 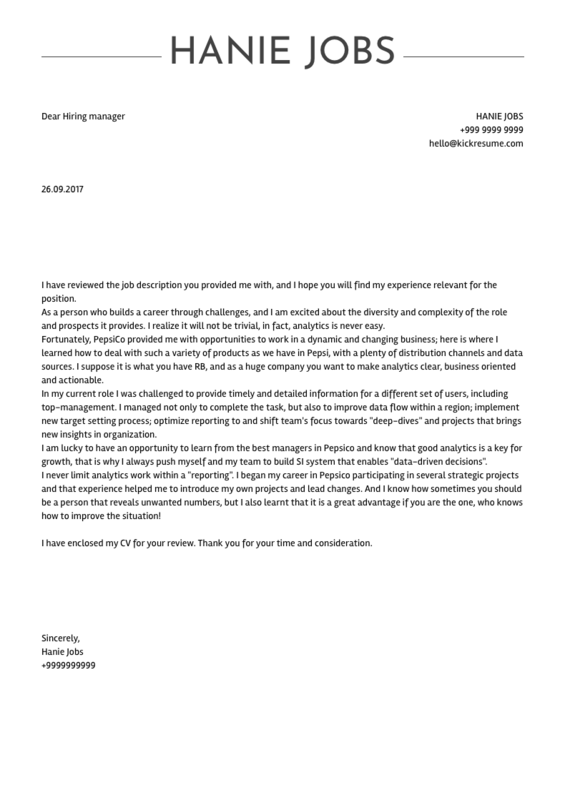 A good cover letter guides the recruiter through the applicant’s experience and achievements. Demonstrate with examples how you approach problem-solving and deal with obstacles that you need to overcome. No one wants to waste time skimming through vague information unrelated to the position. Answer the basic questions. With paragraphs entitled — Why me? – Why IBM? – Why this role? 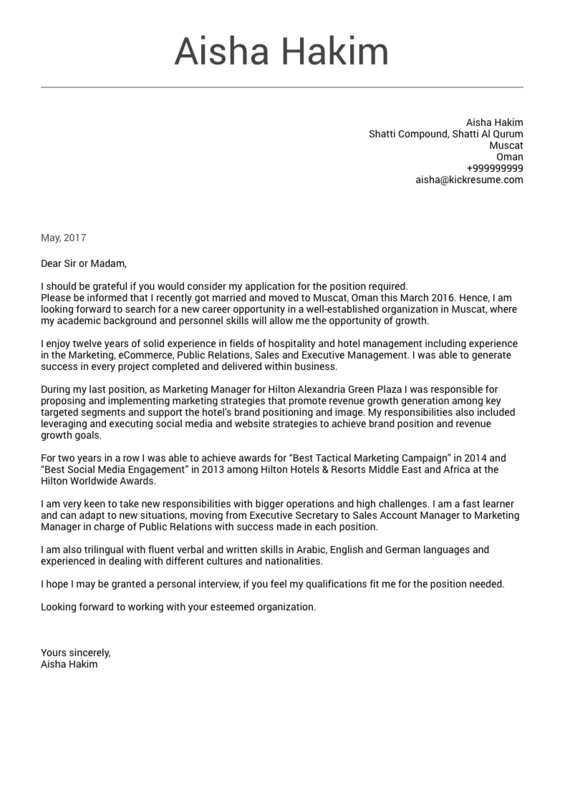 – you give your cover letter a clear structure and go straight to the point. Always include information about your previous experience that is relevant to the current position. 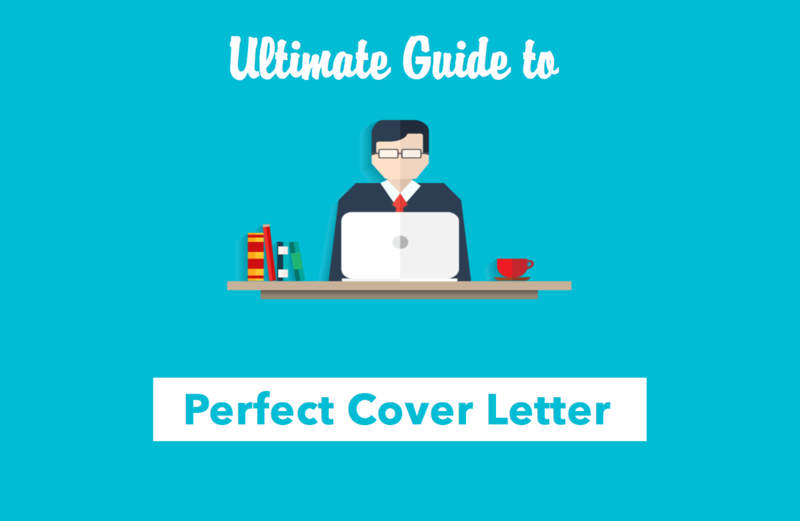 Highlighting your key strengths in your cover letter will specifically target the the post you are interested in. 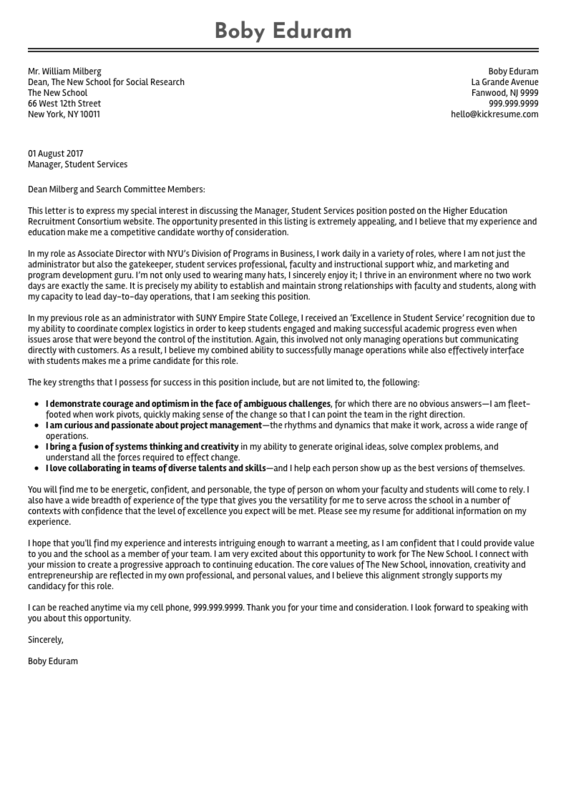 Don’t forget – the cover letters are not only about your professional abilities. Soft skills do matter, so take advantage of bringing them to light as well. Companies hunt for smart people whose actions are synonyms for progress, improvement and innovation. Go beyond the plain list of the tasks you were responsible for. It’s important to make it clear that you’ve made a positive contribution to an already established system. Provide the recruiter with convincing examples and describe the outcome. 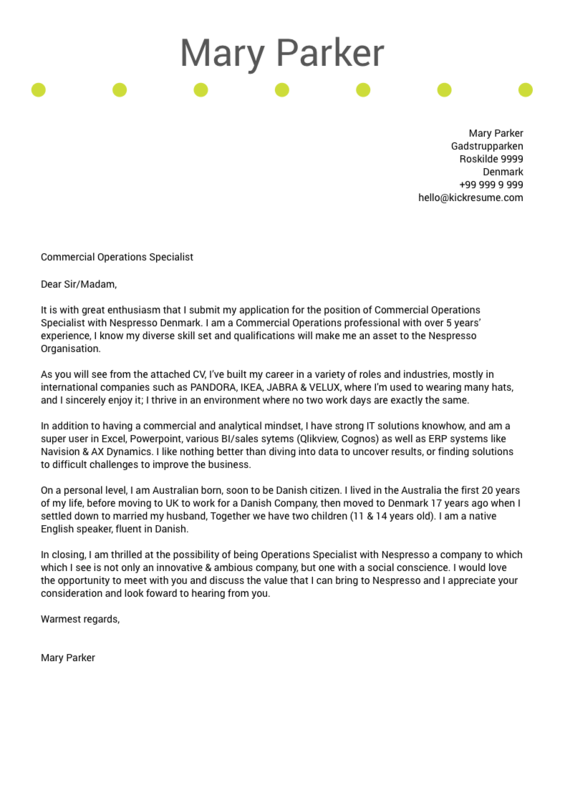 This cover letter proves brevity can be the key to success. Being eloquent doesn’t mean you need to fill the whole page with words. Don’t waste the recruiter’s time. 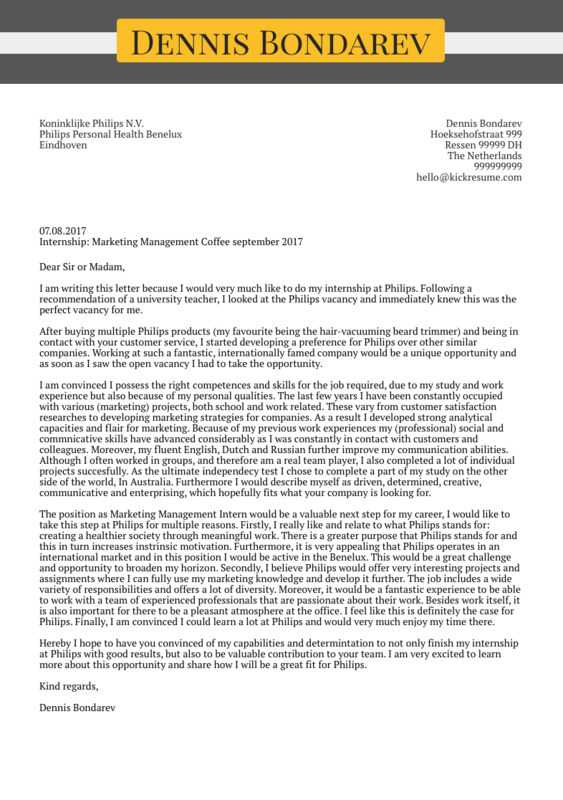 Steve Jobs once said that ‘you have to work hard to get your thinking clean to make it simple.’ This applies to your cover letter as well. Every word should be there for a reason. All the rest can go. Present your background that is directly related to the desired position. Anything besides the professional background will come in handy. Whether it’s your pastime activities like traveling, sports or online presence. Show the recruiters that you are actively engaged in the field in both professional and daily life. The more you are immersed in the discipline, the more likely you will be selected as the best candidate! Think about formulating the sentences in a smart way. Create meaningful implications. 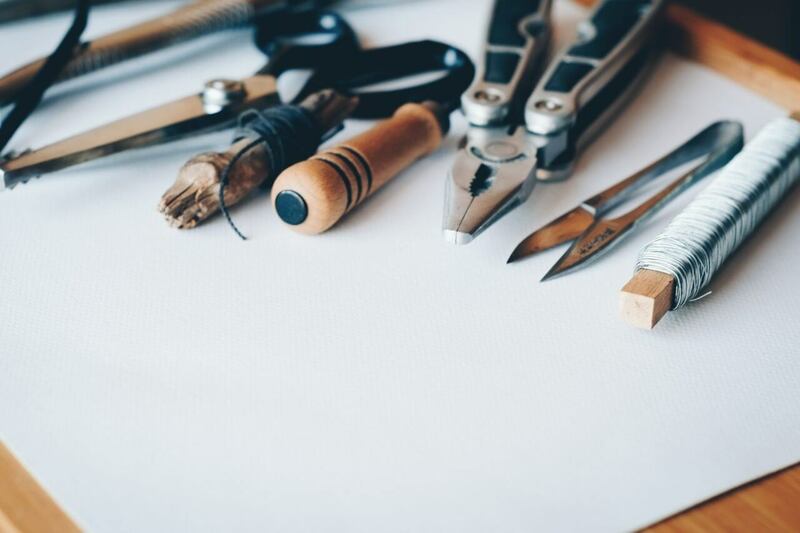 Make it clear that thanks to your previous experience, your expertise will directly foster the organisation’s growth and development. Unleash the beast. Show your passion and zeal for what you do. Using words like ‘enthusiasm, passion, enjoy, thrive, thrill’ will add colour to your cover letter. Remember that this is your chance to make a good first impression. Don’t miss it! Share your sincere motives for getting the job you’re targeting. 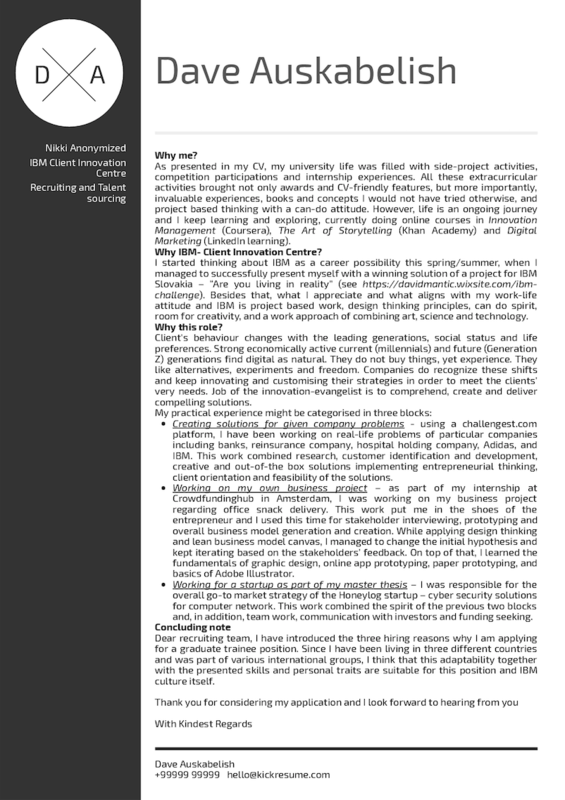 Incorporating your volunteering experience into the cover letter will present you as a honest and trustworthy person. Demonstrate your flexibility and willingness to adapt. If appropriate, be specific in outlining the schedule of how you’d like to work. If you boast any relevant certificates or awards, go ahead and put them on a pedestal in your cover letter. 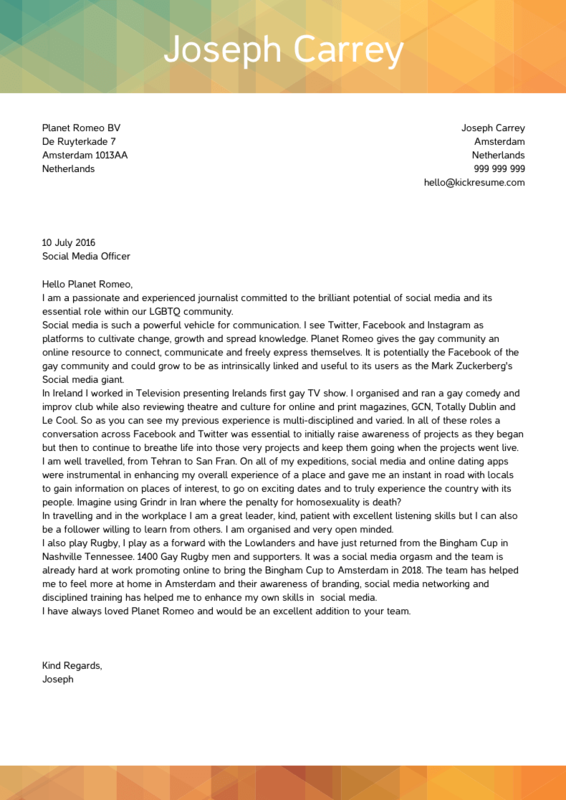 Active involvement in the field will let the recruiters recognise your full potential. Make sure to get familiar with the philosophy of the organisation you’d like to work for. Use that knowledge to present a strong work ethic in your cover letter that is in alignment with the core values of the company. Grab them by the cover letter! 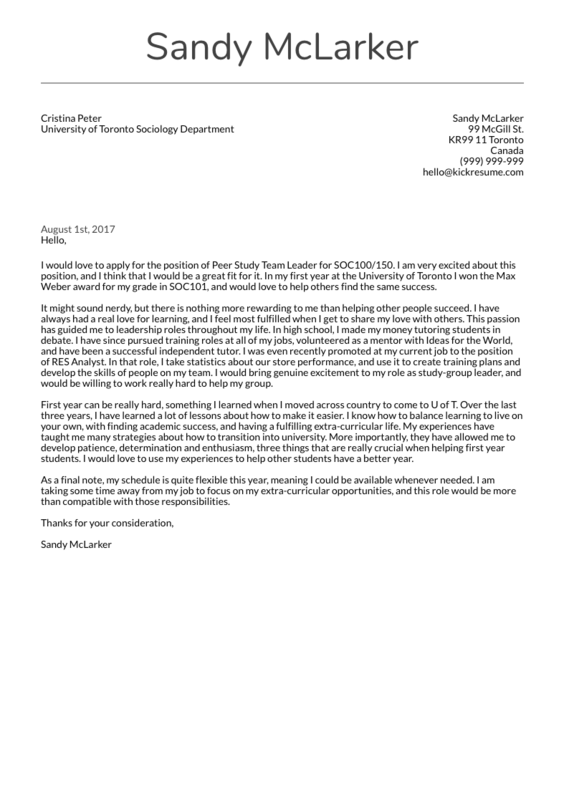 Go ahead and embrace the freestyle narrative of the cover letter. Embellishing the crude facts laid out in your resume, it allows you to tell your personal story, show your motivation and state your ambitions. 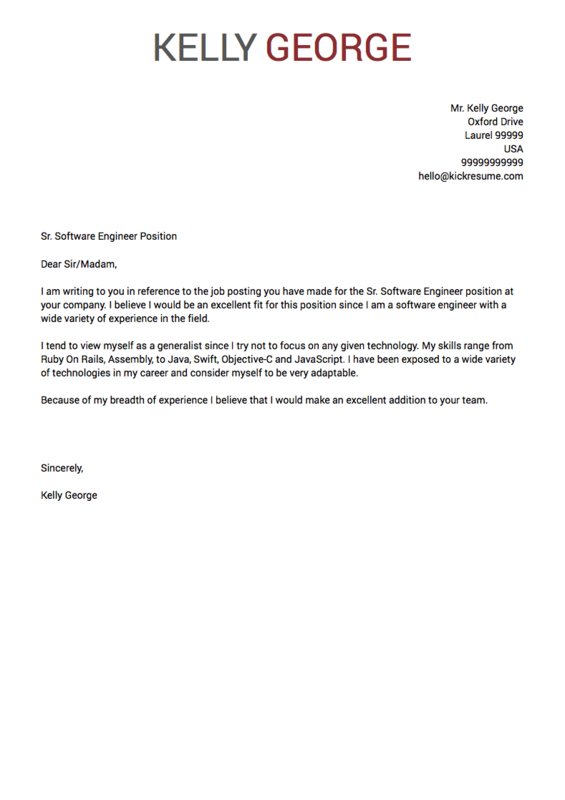 The cover letter can make or break your application. If you’re still in the dark, follow these 10 valuable tips. Whether it’s an internship or a senior position, always write with a purpose. Craft individual phrases and sentences until you are satisfied with the message you intend to convey. After all, a well-structured cover letter can give your career a real head start!